Yesterday, I had the good fortune to talk with Steve Hargadon on his Future of Education webinar series. Details of the show, including access to the MP3 version and Elluminate sesssion archive are available with those links, and also are on his blog. 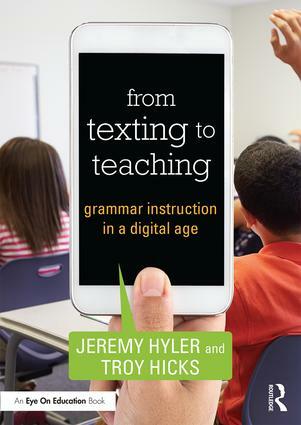 It was a wonderful and far-ranging conversation about the importance and effects of digital writing and social media on our culture, as well as the state of writing instruction and teacher professional development in our schools. Many NWP colleagues joined in the backchannel conversation, including Christina Cantrill who kept a steady stream of resources from the Digital Is site flowing into the conversation. There is so much to think about and reflect on from the conversation. As many others have noted, Steve is a well-prepared, thoughtful, and entertaining interviewer. He kept asking me great questions and was very attentive to trends and ideas raised in the backchannel. This kept the conversation moving along, and I found myself trying to limit my responses to two minutes or so (although I am not entirely sure how well I did that!). Of the many questions that I tried to field during the show and answer while talking, there were a number of other ideas that popped up, and I wanted to look at some of them here. The first key idea was one of our main principles from NWP, just with a slight addendum. 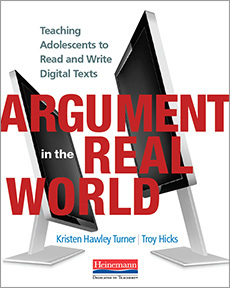 Steve Taffee stated that “It’s difficult for teachers to advocate for digital writing if they are not practitioners themselves.” Indeed. The trick, then, is how to invite our colleagues into discussions and opportunities to do digital writing which led to a humorous comment from Lisa Cooley who asked, “I wonder if Troy knows what Douglas Adams had to say about technology and age. I’ve been thinking about it a lot lately.” Sadly, I haven’t read any of the Hitchhiker’s series, or any of his other work. This gives me new inspiration to check them out. In Because Digital Writing Matters, there’s a phrase that keeps resonating for me. It’s one Tim Wright said about digital writing being collaborative, yes, but also “real time, improvisatory writing…” This resonates because it breaks down a traditional notion that writing has to be “final draft talk” and writing can be “exploratory talk.” In the way this Elluminate Level is allowing us to do now…I’d like to hear more about this notion of digital writing as improv. That’s a unique take on the old idea of “writing as discovery” or “writing to discover.” It brings new meaning to the aphorism, “How do I know what I think until I see what I am going to say ?” (or something to that effect). Also, I like it because it reminds us that the tools for digital writing — computers, mobile phones, cameras, recorders — are all open to interpretation and revision. There are opportunities to capture, recapture, and rearrange words, images, sounds. 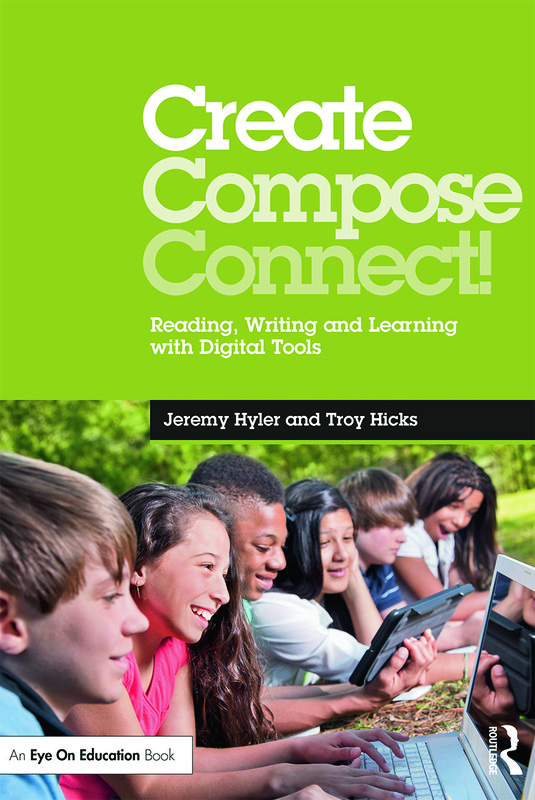 Digital writing is like improv, and we only get good at improv when we play. 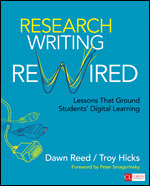 In that same vein, a second key idea about what counts as digital writing came up. Richard Close asked “Is creating your own YouTube digital writing? Or sending a pic with a text digital writing?” Yes, indeed, it is, although I want to clarify that a bit. We can teach students how improv with both creativity, and responsibility. Simply recording something on your cell phone and posting it to YouTube without thinking about how, why, when, or by whom your video could be viewed or repurposed is not, in my eyes, a responsible way to think of yourself as a digital writer. Just because you can post something doesn’t mean that you should (think of all the scandal that has happened just this week about indiscretions via Twitter). We want to teach students to be intentional, to frame their thinking and the composition process in light of purpose, audience, and situation. So, if they are going to use an image or video clip and share it through a text or social network then, yes, they are writing, and they need to take responsibility for themselves and their products, for better or for worse. Third, a bit later, Peggy George notes “does digital writing change the notion that writing isn’t “finished” until it’s the final, published version? seems like it’s much more about writing as communicating and growth–not necessarily final products.” Again, a good point. I think that is one of hallmarks of all writing, at least all authentic writing, is that it is never done, just due. 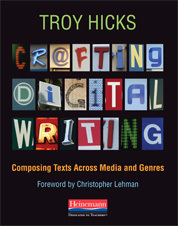 The digital nature of texts and wiki-fication of the writing process now allows us to think about writing going through many stages, many revisions, and many audiences. Also, I think it is important to understand the idea that when we make a multimedia piece, all the elements fit together in just such a manner, and any change to part of the composition will change the the other elements. And, once something is publicly available online, it becomes open to public comment, criticism, and repurposing. So, digital writing is very much work in progress, even when we think it is done. Second, Steve Taffee asked “Troy – What thoughts do might you have about alternative input devices for writing, for example speech to text?” I am all for them. As Ira Socol points out, text-to-speech software is useful both for special education students in their writing, as well as for anyone else who wants to learn how to use it so that they can hear their own writing in a different voice. Moreover, I personally have started using speech-to-text software to compose some of my own writing. Writing and speaking are, at least from my non-linguistically trained perspective, very different processes, so using speech-to-text to write things like emails generally works well, although not so well for composing longer pieces like this blog post or academic papers. So, those are some thoughts and reflections from the show. Going back to review the transcript has been useful for me as I prepare to teach for MSU’s Ed Tech program this summer in France. The interview with Steve provided me a chance to collect my thoughts as I work on a few articles and a book proposal, too. I will go back and give myself a listen at some point soon, but first I need to catch up on Renee Hobbs’ talk with NWP on BlogTalk Radio and brush up on my French, so I will have to save my own recording for the plane. Au revoir! 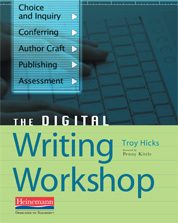 I’m also really curious about examples of digital writing workshop in content classes. Writing in content areas is a neglected topic, and it’s going to become an area of increasing need, especially with Common Core Literacy Standards for subjects other than English. Does anyone have other examples? Next Next post: Designing PD Experiences: Can You RELATe?